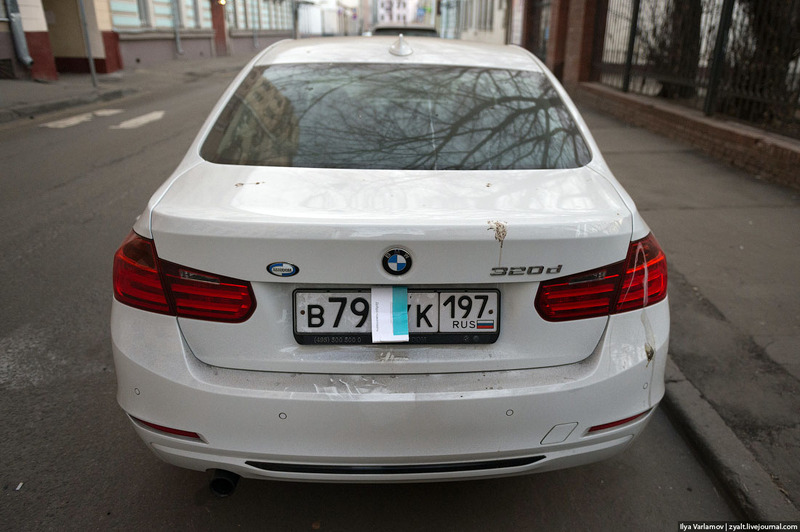 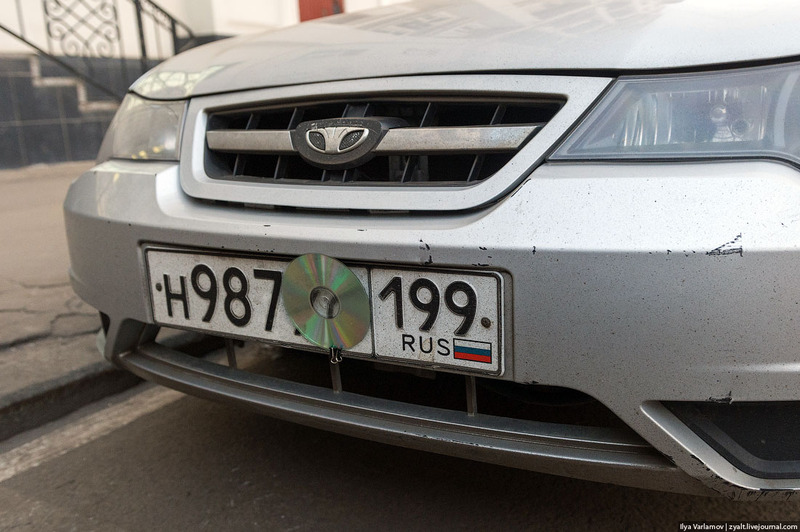 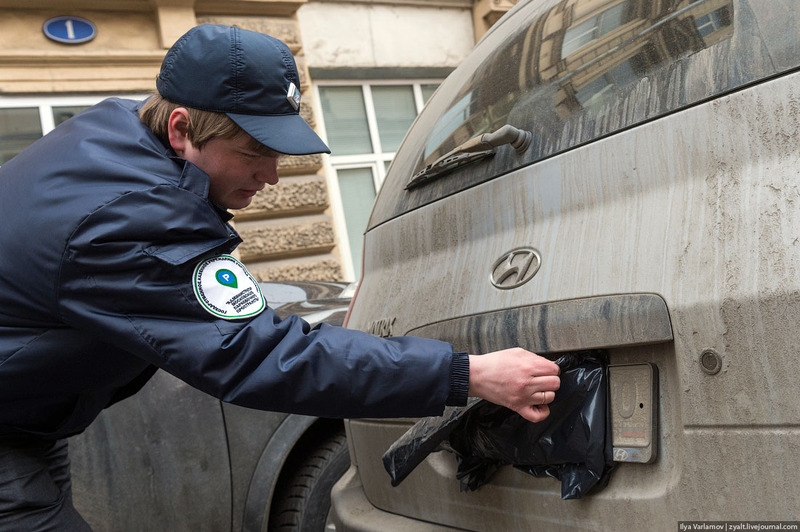 It’s a common practice in Russia to cover up the license plates in order to avoid parking tickets. 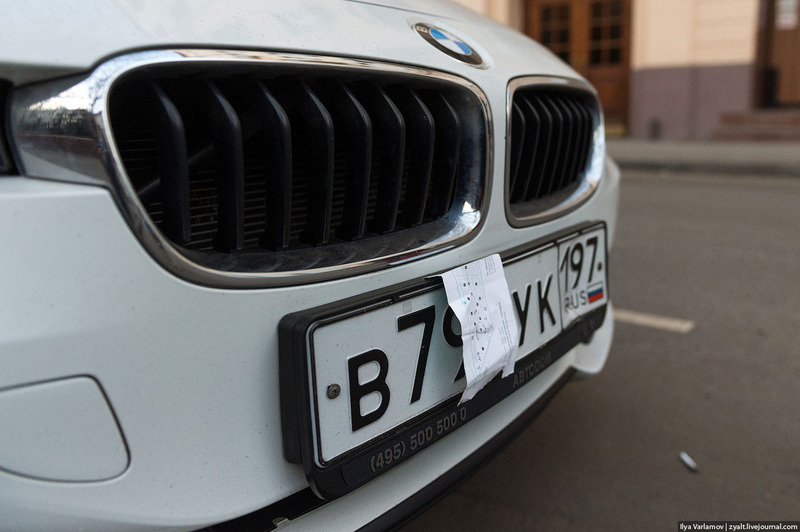 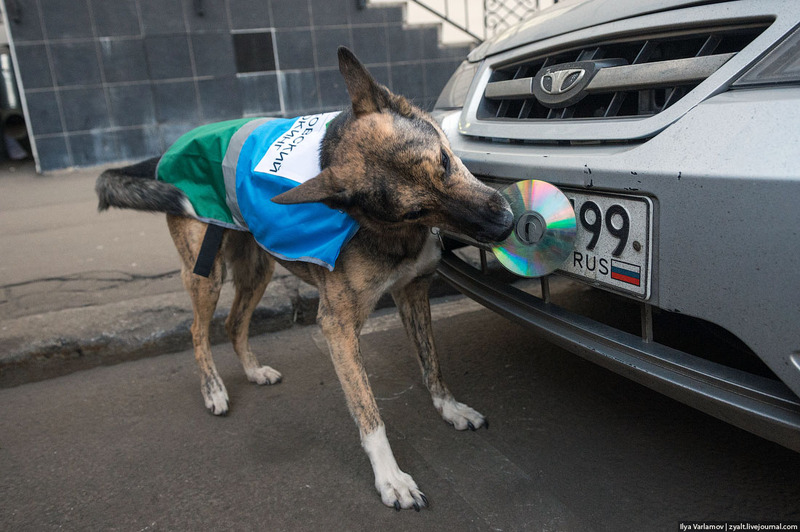 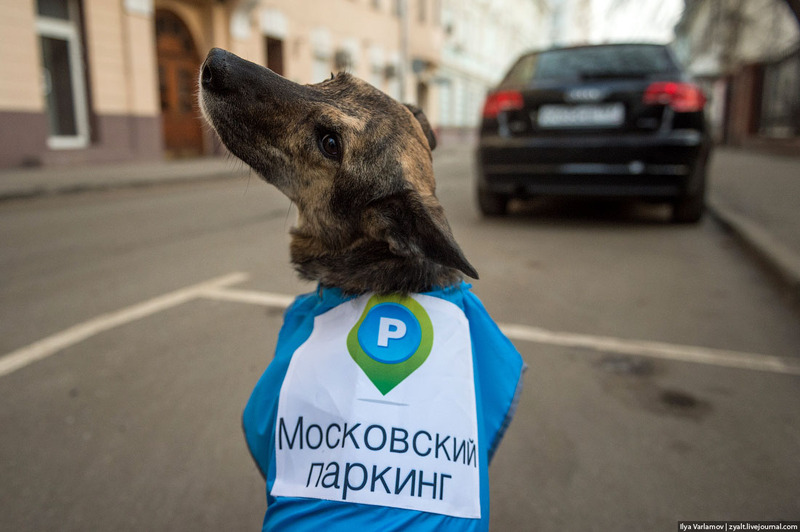 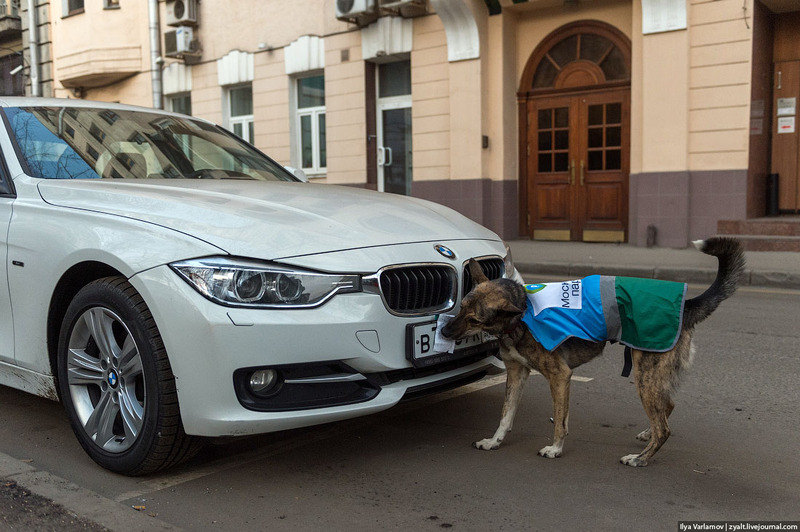 Recently, Moscow parking authorities came up with an ingenious way to outsmart the car owners. 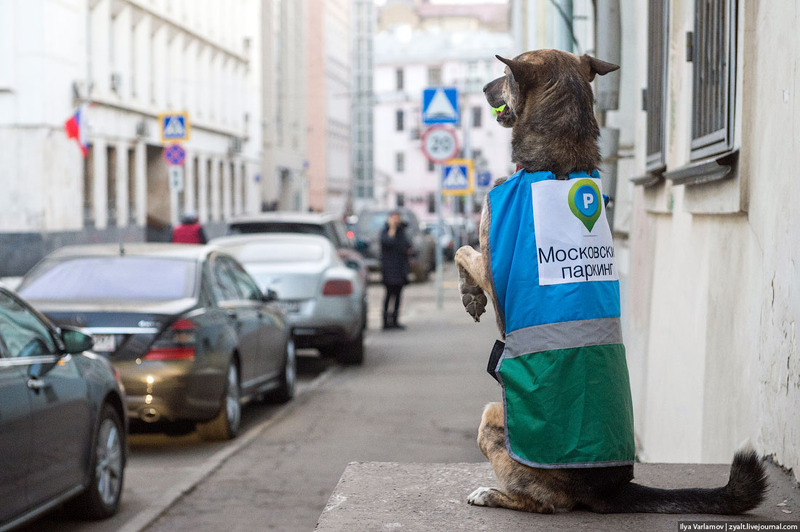 They hired dogs. 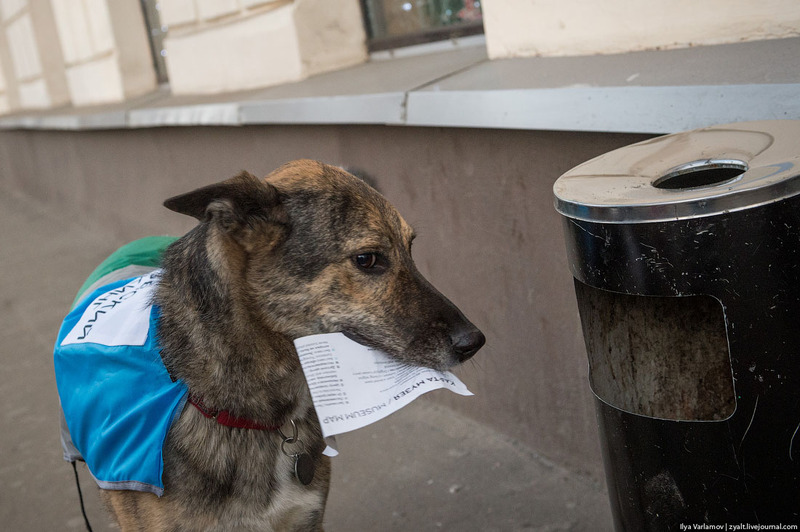 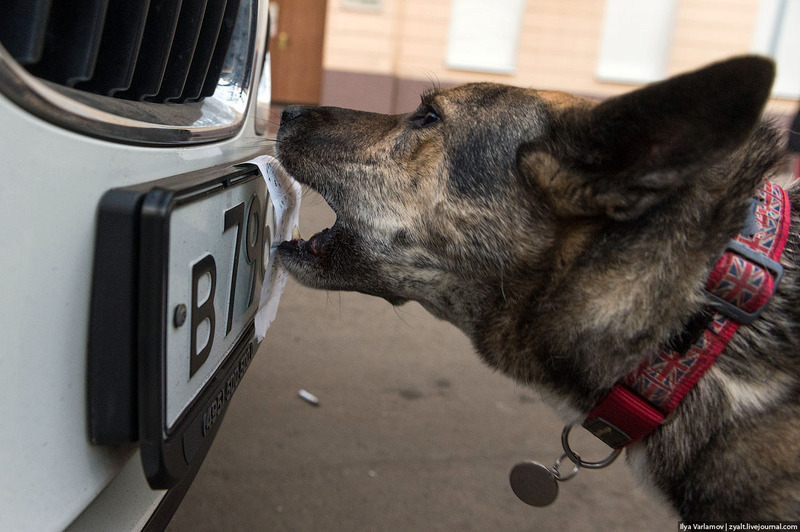 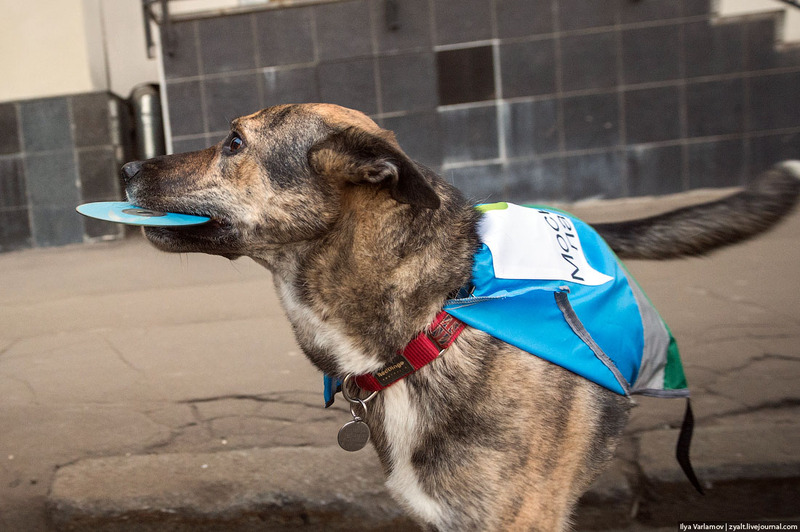 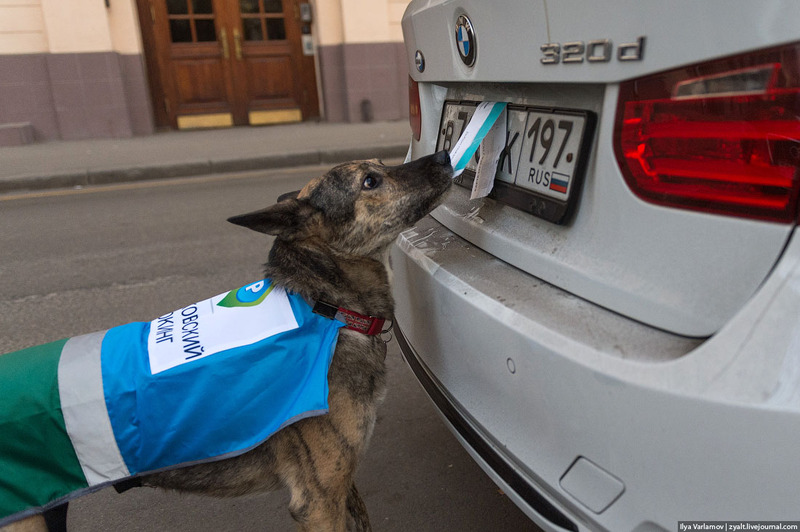 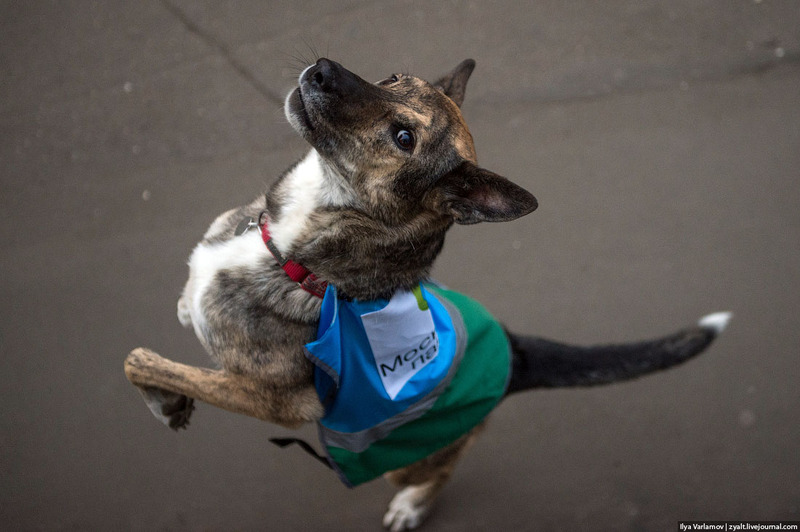 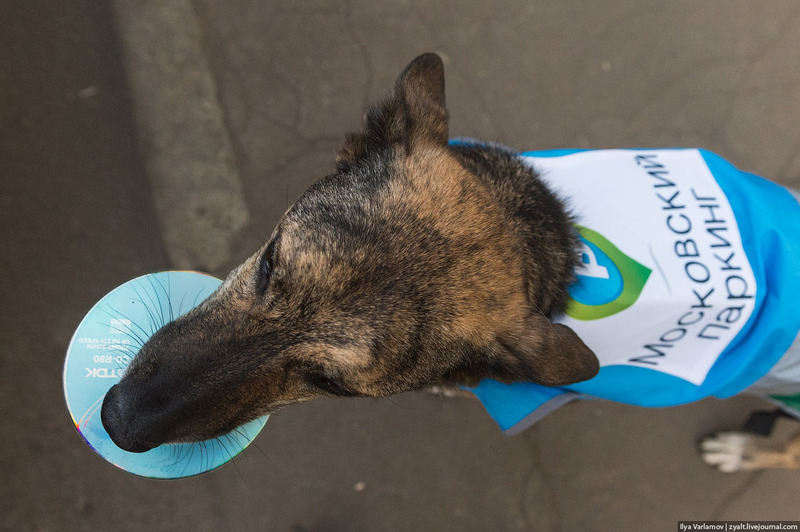 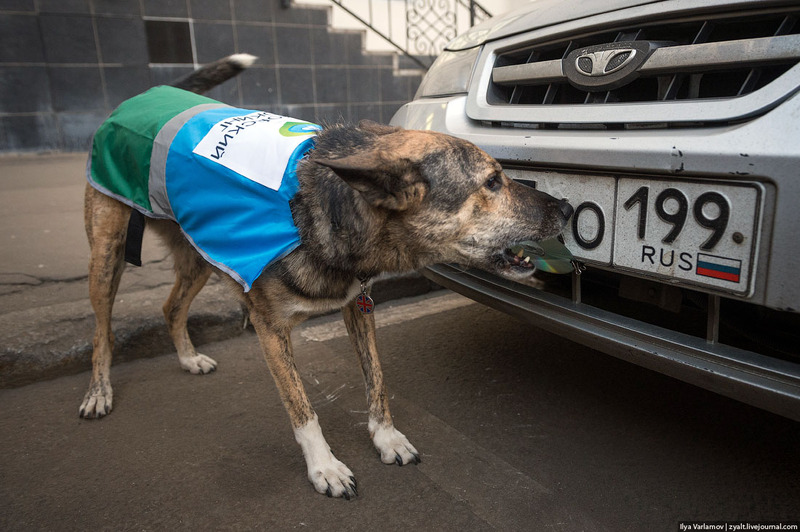 Dogs are trained to clean up the license plates and even put the removed garbage into the trash bins. 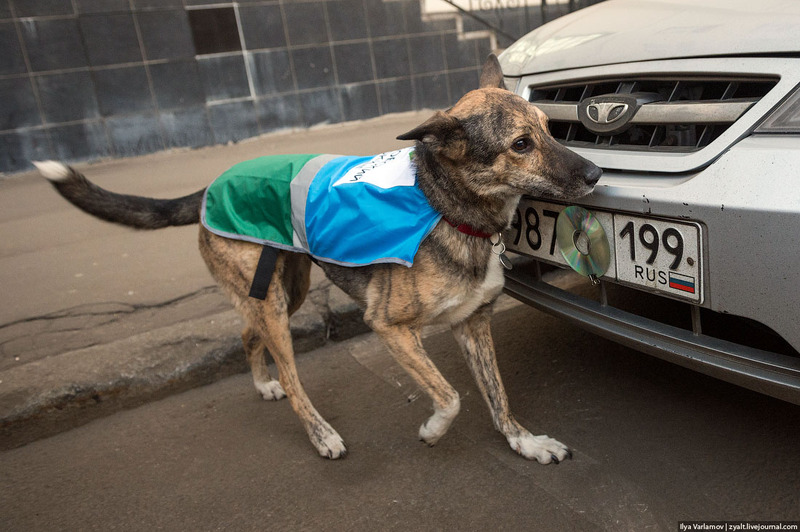 The reason to hire dogs, was to avoid conflicts with the car owners, who often argue with the officers and even fight.